You can download the programme 2017 here. 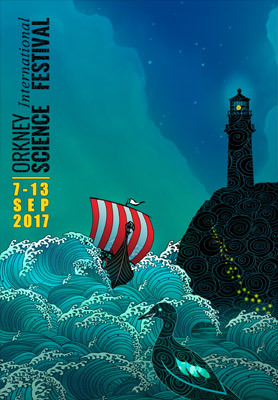 Walking, voyaging, travelling, exploring – with stories of polar exploration and Norse navigation, building great bridges and probing the seabed – plus a return visit of Nobel laureate Prof. Peter Higgs, are all to the fore in the programme for the 2017 Orkney International Science Festival. The Festival opens with a walk – sharing its opening this year with the launch of the final section of the new St Magnus Way, from Orphir to Kirkwall. Orphir Church is the venue for a talk by travel writer Christopher Somerville, whose walks column in The Times takes him across Europe for classic walks, from Sweden to Spain and from Faroe to Crete. The Magnus 900 theme will bring in various Norwegian topics, including the mystery of strange, hovering, flashing balls of light in a Norwegian valley, which may be connected to ball lightning. There will be a look at the navigation of the Viking Age, and the possibility that crystals of Iceland spar were used for finding the sun in overcast weather. There will also be the story of the Gulf Stream – how it carries warm water as part of a global circulation, with examples of some unusual finds from Orkney beaches. Stories from the seabed will include new underwater photographs of the wartime wrecks in Scapa Flow, and the story of the discovery of Sir John Franklin’s ships, plus the latest news of the search for ancient settlement sites of the earliest Orcadians, now covered by the rising sea. 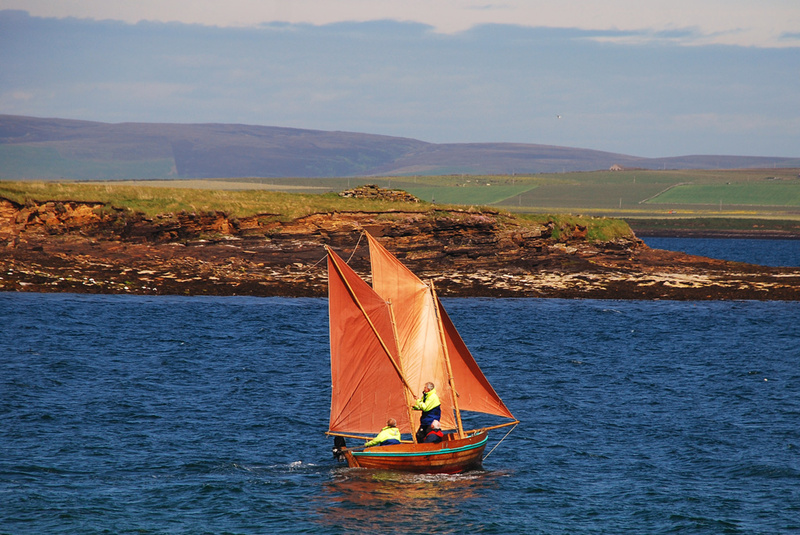 There will be insights into building and using traditional boats like the Orkney yole, and the story of the construction of some classic bridges, from Telford’s bridge at Craigellachie to the new Queensferry Crossing. 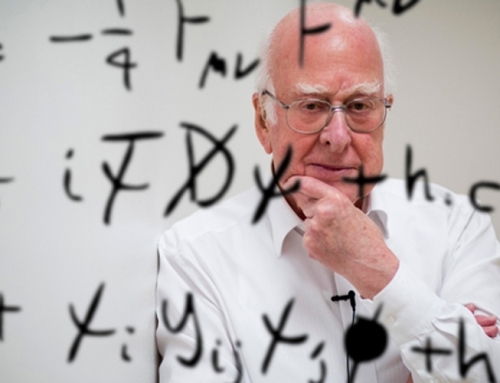 Prof. Peter Higgs will be returning to the Festival to this year’s festival to speak about his work in particle physics. Prof. Higgs shared the 2013 Nobel Prize for Physics after the discovery of the particle he predicted mathematically. He will be in conversation with a former student of his, Dennis Canavan, who graduated in mathematical physics from Edinburgh University fifty years ago this summer. More familiar today from his subsequent parliamentary career, Dennis Canavan went first into teaching and was head of maths at St Modan’s High School in Stirling, where the head of English at the time was Brian Murray who lives in Stromness. In recent years he has been the president of Ramblers Scotland, and shares a love of the outdoors with Prof. Higgs. There will be more about sound and music from Edinburgh University physicist Prof. Clive Greated, co-author of The Musician’s Guide to Acoustics, who will explain how sounds are formed in different types of wind instruments. 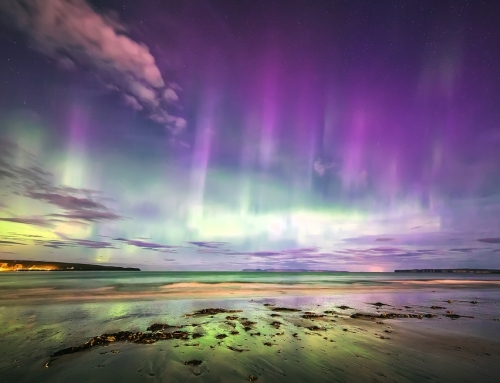 The Festival will also highlight an indirect Orkney connection to the 2015 discovery of gravitational waves through the story of one of the three key men who developed the equipment that made it possible. This was Prof. Ron Drever, who died earlier this year. His family came from Orkney, and his great-grandparents were born in Papa Westray. His story will be told by his brother, Dr Ian Drever, while Prof. Martin Hendry of Glasgow University will be bringing the latest developments in the field. 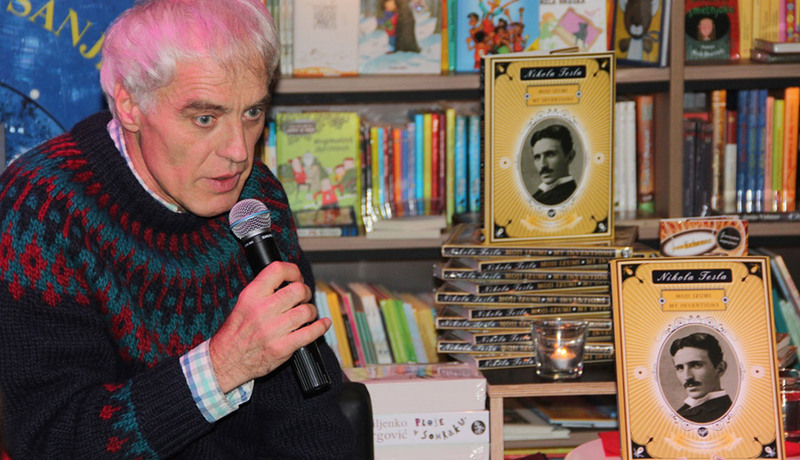 [one_third last=”no”] [/one_third]The remarkable story of the inventor Nikola Tesla will be told by Slovenian physicist and inventor Andrej Detela, and the West Side Cinema in Stromness will feature an evening of short films about Tesla. With this year being the 20th anniversary of the collaboration between the Festival and the Slovenian Science Foundation, the programme will include several other Slovenian speakers, and a Slovenian wine evening. Among the other anniversaries to be highlighted will be the 50th anniversary of the North isles air service and of the Sea School in Stromness, and the 40th anniversary of the opening of the Flotta oil terminal. A talk, The Folk Who Brought the Oil Ashore, will look at the human side of the achievement. 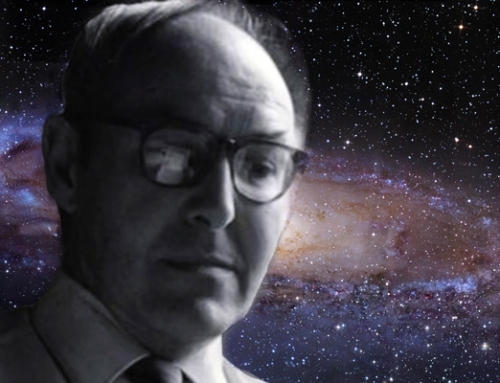 It is also the 50th anniversary of the death of Robert Rendall, and this year’s Orkney Night in St Magnus Church, Birsay, will include some of his poems, serious and humorous. 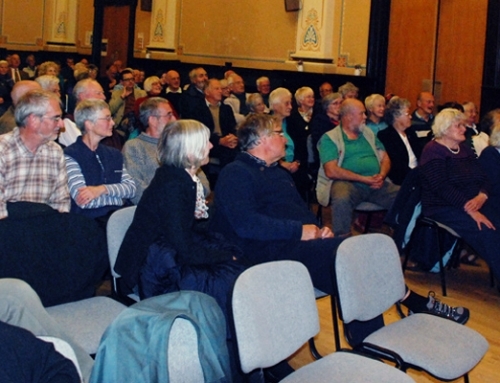 The various sides of his life will be the subject of an evening in Kirkwall. From the battle of Alamein, which took place 75 years ago, comes a remarkable story of an Orcadian who kept up a vital radio link under fire. Bill Sutherland and the equipment he used will be the theme of a collaboration between Orkney Wireless Museum and the Museum of Communication in Burntisland, Fife. The Festival will also feature the latest news from research at Edinburgh University into the genetics of multiple sclerosis in Orkney. The programme will include a study of the genes that lengthen life, and an insight into gene editing for making new products from bacteria. There will be examples from Australia of new materials developed by copying from the natural world, and the story of the ongoing search for the first cell of life on earth. There will also be a demonstration of a new design of 3D printer, particularly suitable for island communities. There will also be a bubble show and a magic lantern show, a look at traditional Highland folk medicine and a report from a scientific investigation into the Shroud of Turin. The closing day will include speakers from several European islands who are coming to Orkney for the Festival. Topics will include tidal power on the island off the coast of Brittany, and a look at managing energy in islands from the Aegean to the Baltic. And amidst it all, there will be opportunities to enjoy local fare, at daily lunches and at various individual events, and music in a concert in St Magnus Cathedral on the great 12th-century springtime of knowledge that inspired music, philosophy, astronomy, and great cathedrals, and the Mediterranean journey of Earl Rognvald of Orkney that brought him into contact with the world of the troubadours.